« Burn the joint down!! Time to make a move!! The early returns have not been awe-inspiring. Two weeks or so into a new basketball season, 11 of 12 North Sound Conference varsity hoops teams have a losing record. The only one which doesn’t, the South Whidbey boys, have scrambled back to .500 in recent days. Overall, NSC girls teams are 7-22 against non-league foes, while the boys squads are just 4-22. But wins are coming this week, and that’s guaranteed. Because all 12 teams play their first league game this coming week, so, barring any soccer-style ties, we’ll have some (very) early front-runners atop the standings. Tuesday brings’s Kings vs. Cedar Park and Granite Falls vs. Sultan in girls action, and CPC vs South Whidbey and Sultan vs. Coupeville in boys play. The Coupeville and South Whidbey girls clash Wednesday, with the Granite Falls and King’s boys waging war Friday. Around those first league games, there’s still a fair amount of non-conference action left to play out. For Coupeville, it starts with a doubleheader Friday at Concrete. 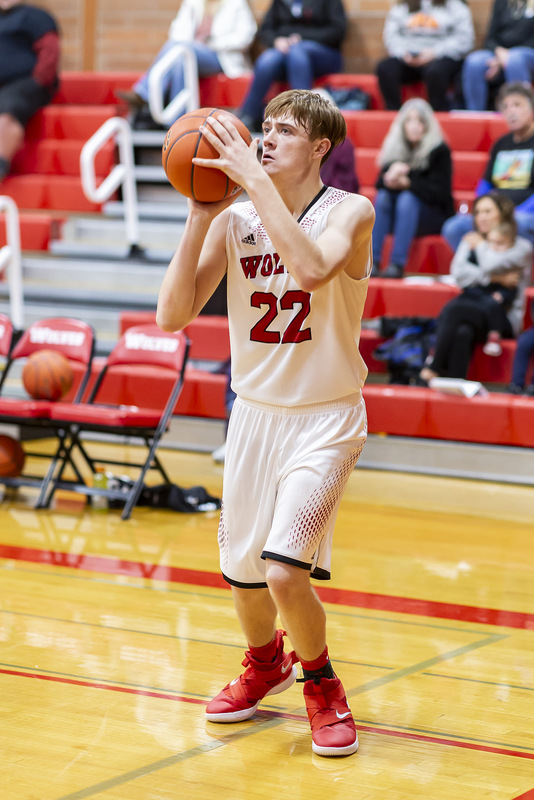 After that first league game Tuesday, the Wolf boys don’t play a conference foe again until Jan., while the CHS girls host Sultan Dec. 18, then also wait until the new year for the majority of their league schedule.